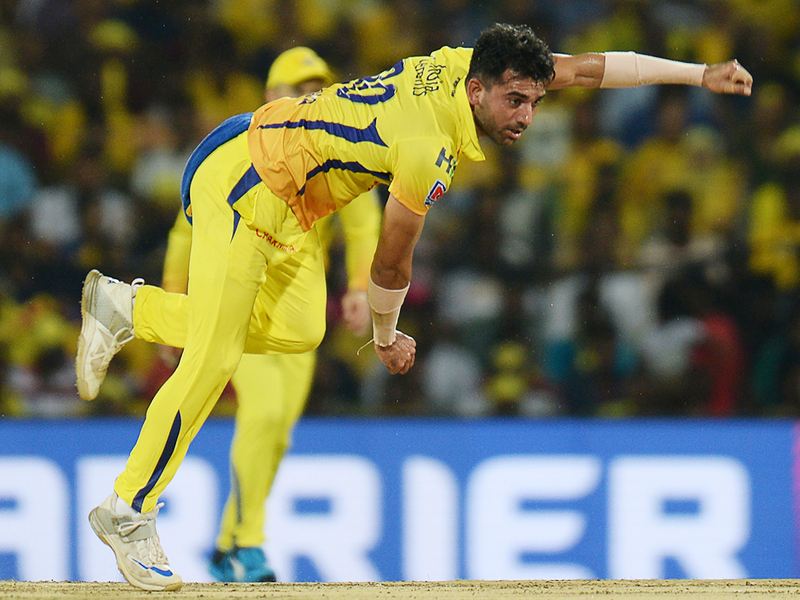 Chennai: Deepak Chahar was scolded by Chennai Super Kings skipper Mahendra Singh Dhoni for bowling two no-balls off the first two balls of the 19th over of the Indian Premier League game against Kings XI Punjab. Since then, it has been a magnificent show from the young pacer as he picked three wickets against Kolkata Knight Riders on Tuesday to derail their innings at the top. Chahar picked up 3-20 after Chennai won the toss, and the visitors limped to a total of 108-9. Faf du Plessis (43) then shone with the bat as Chennai chased down their target to win by seven wickets with 16 balls remaining. Man of the Match Chahar said he has been working on his bowling and that has helped as he planned keeping the conditions at M.A. Chidambaram Stadium in Chepauk at the back of the mind. “I knew we are going to play a lot of games at Chennai. So, I worked on my slower ball and yorkers,” he said. Chahar also pointed that he uses his time with skipper Dhoni to talk about the finer skills of bowling and areas that he can improve on. “I spend a lot of time in the dressing room with MS, while playing TT and I have got to learn a lot from him,” he said. While Chahar generally bowls his quota of four overs on the go, he was kept back to bowl in the death against Kolkata and the pacer said that injury to Dwayne Bravo has opened the door for him to bowl in the business end of the innings. “With Bravo injured, I have got opportunity to bowl at the death,” he said. Having continued their superb form at home, Chennai will now head to the Sawai Mansingh Stadium in Jaipur to take on Rajasthan Royals on Thursday. On paper, CSK are favourites as they sit atop the points table, but then, this game is not played on paper. Having lost their previous game at home against Kolkata Knight Riders, the Royals led by Ajinkya Rahane will look to come back strongly in this encounter against Dhoni’s boys. But firstly, they need to get a hang of the wicket. Having dished out a slow one in the game against KKR, they found themselves in deep trouble and considering Chennai’s love for slow turners, another slow wicket will play into the visitors’ hands. In the batting department as well, too much dependence on Jos Buttler and Rahane at the top needs to go. Even though Steve Smith played a quality knock in the KKR game, his innings was pretty slow and didn’t help the team. Similarly, someone like Ben Stokes needs to be used much higher in the batting order. Considering his destructive nature, he needs to be given enough balls to face.